They say that a dark cloud follows Christmas around, hence the amount of deaths we have at this time of year. I’m not too sure how scientific this is but it does seem to be the case. 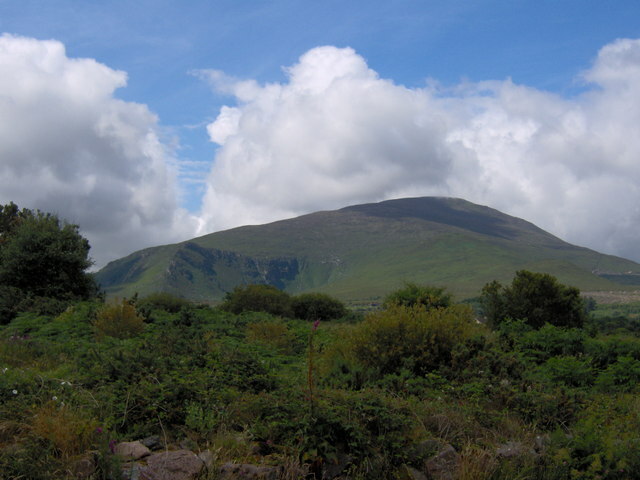 Our parish at home in Kerry is boxed in by three mountains one of them Mount Brandon the second highest in Ireland, the other side of the parish opens up onto the Atlantic at Smerwick harbor. When Christmas comes there is a tradition in the parish as there is in many others to put candles in all the windows over the 12 days. When you enter our parish you are up on a high and it is a fantastic view. Twice in my lifetime these candles couldn’t be seen, once when I was around 11 when there was a power cut (most candles have electric for many years) and this year on the 30th when I made a sad journey home to bury one of my greatest friends. The whole parish was in mourning and kept the place in darkness. For anyone used to seeing these Christmas lights the darkness screamed out when they weren’t there. Funerals are strange things! Over our lifetime we will probably go to 100’s of them and we still don’t know what we should be doing at them or how we should act. Even when a good friend passes away! How long to you stay in the house? What do you say to people? Is it ok to laugh and tell funny stories about the person? Is just being there just enough? There is no answer, right or wrong to these questions. Is all depends on the situation I suppose. One thing though, people shouldn’t come into the family roaring crying! People should be about to contain themselves. The family have enough to be coping with. There is a community spirit at home at these times which I really admire and you wouldn’t really get in big cities. Before the funeral there were road signs out with funeral traffic written on them and people all around the parish directing cars for two days. These men and women stood out in the cold for hours out of the goodness of the hearts in respect and sympathy for the family and knowing that if a dark day like this comes knocking on their door the same thing would be done for them. Without going into losing a great friend, one of the most powerful parts of all of this for me was when we were saying the rosary over the body at the end of the wake. With no priest in the house my friend’s mother took the mantle and after two decades turned to her husband who called on people around the coffin to say a ‘deichniúir’ a decade. I had never in my life seen this before and never had I had a more powerful feeling inside me. To me this wasn’t about prayer or religion at all. This was family, this was a community in its purest sense! Before this day I had only touched one corpse and that was of my sister Deirdre who passed ten years ago in Levittown, PA. This type of stuff freaks me out to be honest, but this time around I had an overwhelming feeling to do so. I kissed my hand and placed it on his head and said ‘we had great days kiddo’ and we sure did! We would go horse racing maybe about 3 or 4 times a year. In fact he was delighted when I got a job on TV as I’d be invited to all the race meeting and always needed a plus one, he was my plus one for many a year! One day in the Curragh we were after getting a tip and the horse was 25/1, a massive price so we lumped on each-way. We went down to see the horse in the parade ring and on my soul the horse was 2 hands bigger than the rest and it had a great shine of it. What I’m to tell you next isn’t a word of a lie, when the horse passed us it turned its head back at us and winked. Both of us got excited and ran back down to the bookies and lumped on again! It’s a good job that horse didn’t start talking to us as we would have lost both our houses. The horse pulled up with 2 furlongs to go. I think we laughed more at that than any other winner we had that day. That’s the kind of guy Adrian O Beaglaoí was, a man who could laugh at things even when they weren’t going his way.